Our baby brother turned thirty (30!?!) a couple weeks ago. When we started planning his birthday party, our priority was great food. And cheese. Aj (our brother) loves cheese. 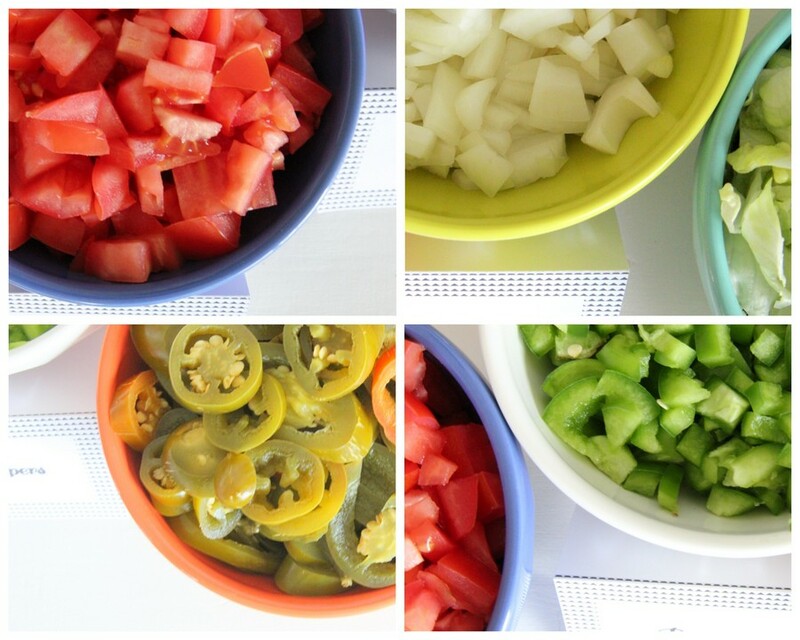 So we brought back an old favorite- the Nacho Bar (our last Nacho Bar was a huge hit as well!). 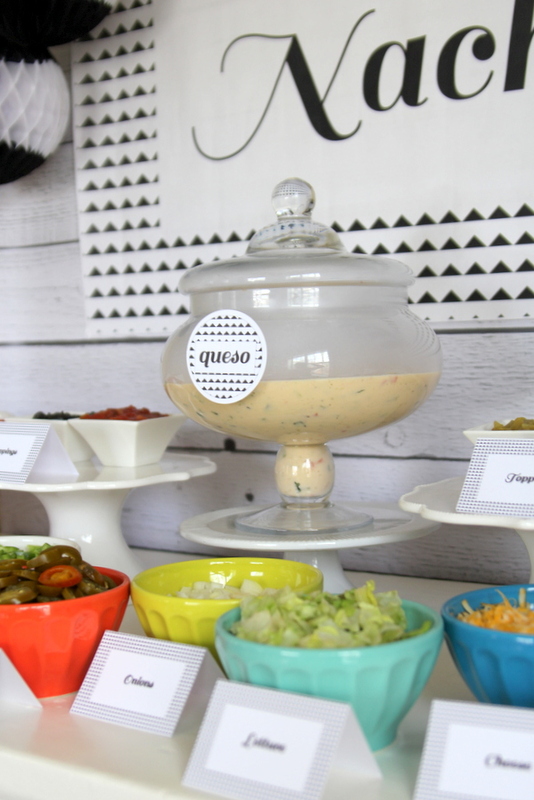 It’s such a crowd pleaser, and so easy to put together (especially if you get your queso from Qdoba, like we did)- I love this food station! 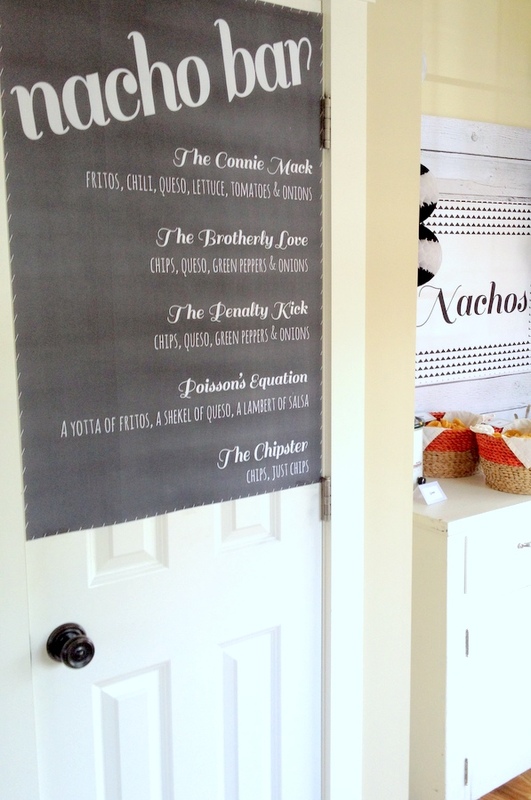 As a new twist, we made a menu board of Nacho combinations that were all nods to Aj’s interests (our hometown, soccer, the Phillies, engineering… well and a combo we called “The Chipster” since we always tease him about his antagonism towards all things hipster). Notice anything funny? 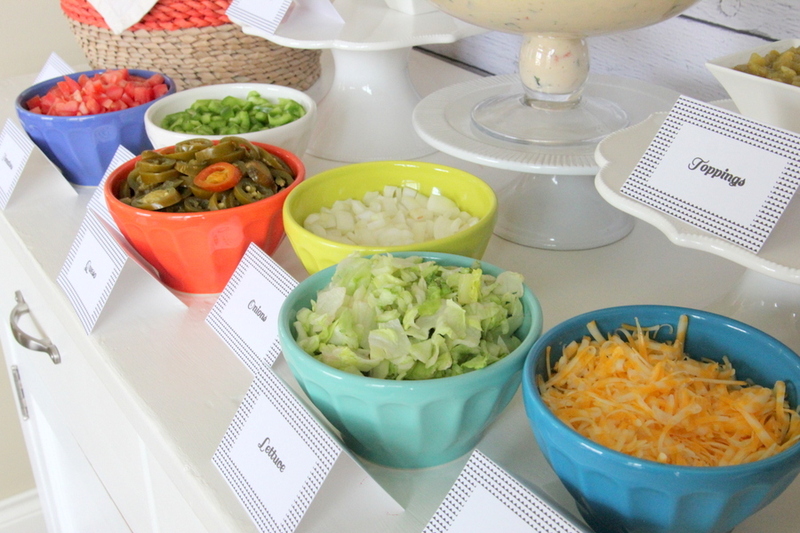 Of course, the Nacho Bar was the most giant hit ever (in fact, the queso bowl was scraped clean). And the party was fantastic- low key, great company, good food- the perfect way to ring in 30! My Husband’s 30th is in October. This would be a great break from our usual birthday barbecue!! I was wondering where you got the template for your Nachos sign? 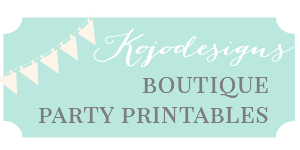 I am hosting something similiar next week and I love the design! Hey Meg, I made the sign! 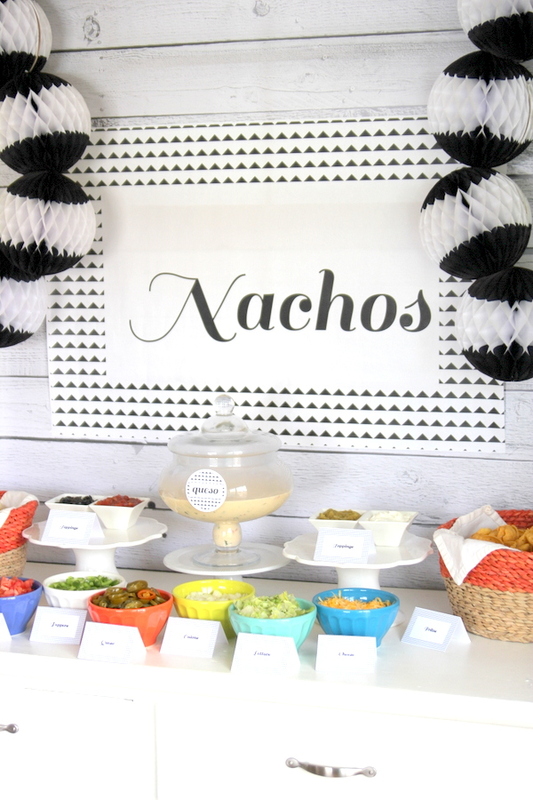 Sometimes I list the party packages in our etsy shop- let me know if you want me to do that for the Nacho sign! Hi! 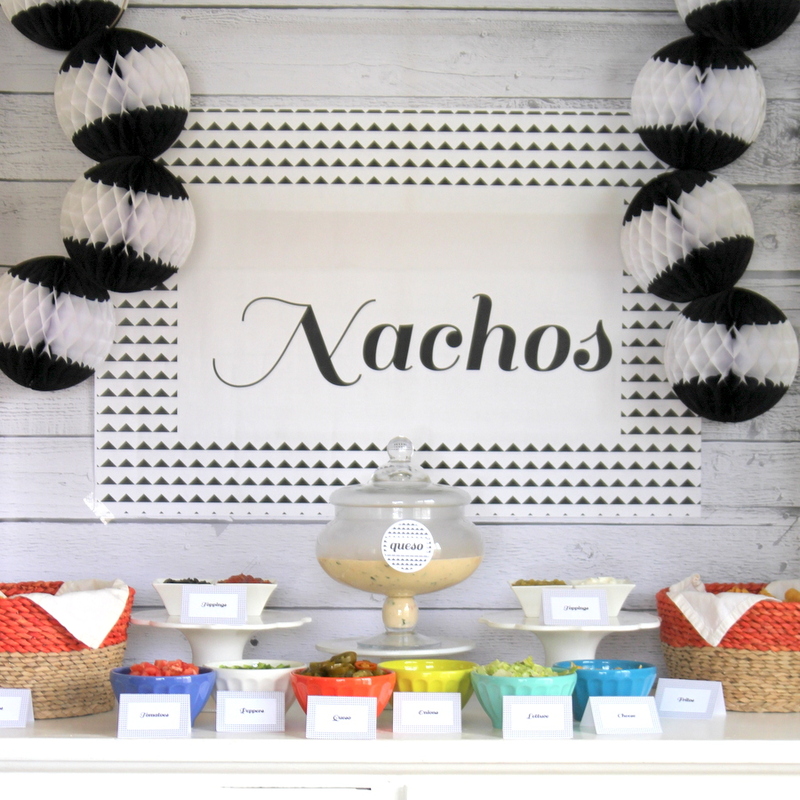 My 30th birthday is coming up in November, and much like your little brother I LOVE cheese and am planning on having a nacho bar 🙂 Where did you guys get the bowls and containers for your nacho bar? Thank you! I love this- what a great way to ring in 30! The cake stands are from Anthropologie, as are the colored bowls. The apothecary jar is from Crate and Barrel and I found those baskets at Target. 🙂 Hope that helps!